UK: Award-winning technology start-up Crowd Connected has launched a major update to Colocator, the company’s location insight platform. The new release includes a completely redesigned user interface, and three new features: ‘Control Room’, a fully configurable custom dash; ‘Alerts’, allowing SMS and email alerting; and ‘Transit’, providing detailed real-time metrics on customers’ routing and journey times. 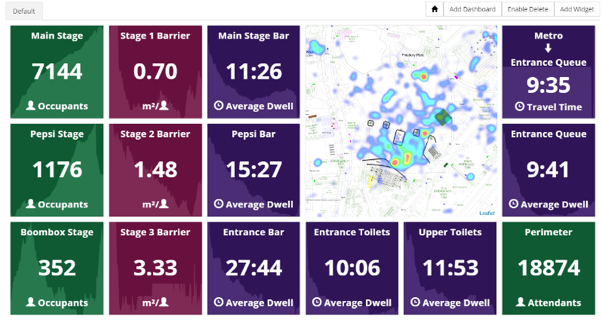 The latest features, available immediately to Crowd Connected’s clients, provide a new level of real-time environmental awareness and actionable insight for operators of stadia, arenas, festivals, and city-centres. For more information, check out Crowd Connected’s official website.